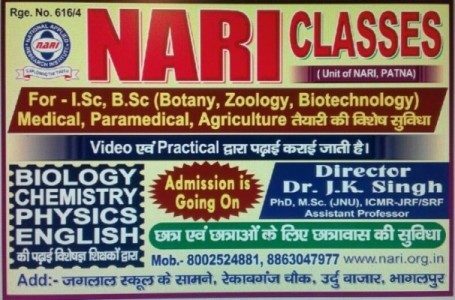 NARI Classes is a non profitable institute and has been established under NARI trust (Registered office Patna) for providing assistance and preparation of different board like State board, CBSE, ICSE for I.Sc (Science), different universities for Graduate in science i.e., Biotechnology, Botany and Zoology, Post graduate in science i.e., Biotechnology and Medical exam preparation for creating a doctors society in this era. This institute is also registered under Bihar Govt. Coaching act 17/ 2010. 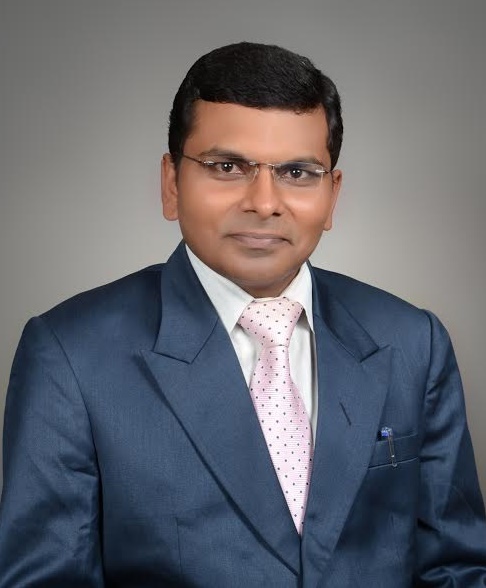 Institute has broad vision for development of education in this society with well qualified faculty members. Institute have smart class room, practical class room, library facility, reading room, A/C facilities, fresh drinking water and separate hostel facility for boys and girls. Not only this, all activities are monitored by web cam thorough director. Faculties also take care of each student performance. For judgment of students progress frequently exam patters is there i.e., chapter wise test, monthly test and at last daily test. For improvement Class discussion, seminar facilities are available. 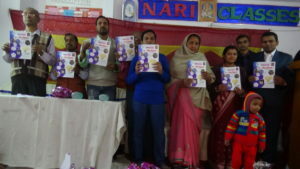 For encouragement of students and poor students scholarship is available through open test exam. Different activities i.e., career counseling, extra curriculum activity like Nukar natak, single competition, science exhibition etc is also going on time to time.